Personal Empowerment and Conflict Education (PEACE) – Family Services, Inc. Personal Empowerment And Conflict Education (PEACE) is a 16-week, psycho-educational program for women who act out aggressively in family and personal relationships. PEACE empowers women and helps them understand the belief systems and personal history that my contribute to their behavior. PEACE provides tools, guidance and support for making positive changes to benefit self, family, and others. 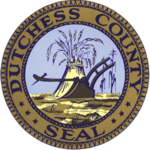 Clients are generally referred by the Dutchess County Office of Probation, the Department of Community and Family Services and the Courts. PEACE also accepts self-referrals.